Welcome to the Store! From here you will be able to purchase Books, T-shirts, and even hit me up about custom artwork. After the rapture, demons and monsters have become the norm on earth. For Clara, a former nanny turned survivalist, they present only some of the challenges to come in an earth besieged by fire and brimstone where another day is the only thing to fight for. This 120 page Graphic Novel covers the first 5 issues of The Warren Hope, written and illustrated by Scott "Fuzzy" Joseph and edited by Alexander Ripepi. Books ship within 5 days of ordering. Be sure to put in your shipping address in the PayPal note. Show your support at your local convention or even at your local art gallery with one of my totally awesome t-shirts. Crazy right? You can drink your coffee and still show that you support an indie artist. 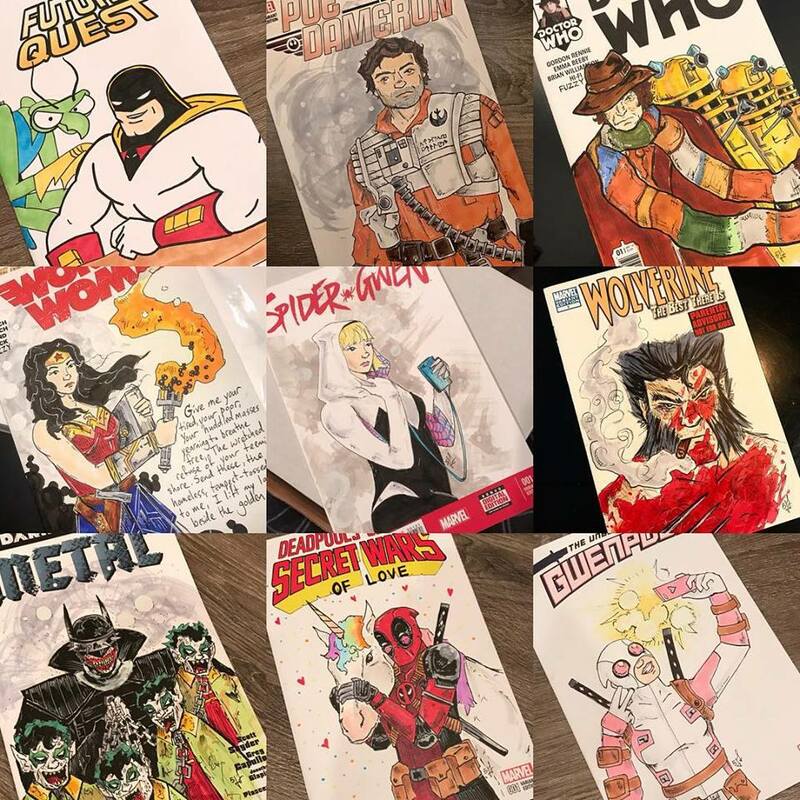 Whether your looking for a Custom Sketch cover or a personalized Holiday Card, I've got you covered. Shoot me an email at thewarrenhope@gmail.com and let me know how I can help you out. Starting at $40.